Tricorder: (Free) Do you have a serious Star Trek issue? If so, you probably already know about this interesting app. For the rest of us, Tricorder is simply the geekiest and possibly most creative use of your Droid. 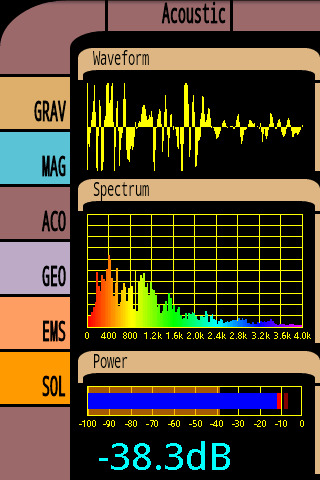 Tricorder is a fully functioning app that replicates the Tricorder used in Star Trek: TNG. 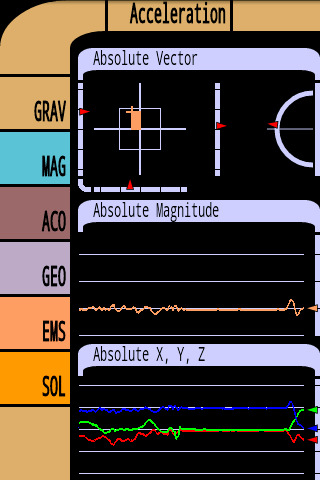 It offers readings such as magnetic fields, Sunspots, decibels, a compass and more! So if you are a true Trekkie or just want to annoy your loved ones with various beeps and whistles, give Tricorder a try! Memory Booster: (Lite and $2.99) Memory Booster offers a memory optimization app with a bit of graphical flair. The light version allows you to do a quick boost and shows exactly how much memory is being used and freed. The paid version allows you to set a threshold for the program to automatically kill tasks and boost the memory when it hits a certain percentage you decide. Paid version also offers an “Ultimate Boost”. AstroCommander: (Free) AstroCommander is reminded me of why I always liked Missile Command and then told me they could make it look awesome too. This game is a step up from the traditional point and shoot planetary defense game. With good graphics and an upgrade system, it makes this mindless alien and asteroid destroying mission pretty entertaining. Also… the price tag doesn’t hurt! DockRunner: (Free) While I am sure you have seen us talk about multimedia dock applications before, I am fairly sure we have not found one that is FREE. DockRunner is simple to use and very to the point. Run the app to turn on your docking mode and then run it again/click the notification panel to turn it off. DockRunner enables all of the features as if you had your Droid in the dock! While I am sure you may figure it out by the picture on the app itself, this is DROID ONLY! XDA: (Free) XDA-Developers has put together a mobile app for access to their forums! The categories are well broken down and it allows you to access and post on the site with your log in. Show some love for our favorite developers as they keep us in the loop with Roms and so much more! Bluetooth File Transfer: (Free) I used this program the other day to transfer Quake 3 to a friend with an HTC Aria. This program pings and finds Bluetooth enabled devices and then allows file transfers between them. Codes are displayed on each device to make sure you don’t accidentally send those nasty pictures of your girlfriend to some guy on the subway! Fast and easy to use. Calling DROID Eris Owners! Care to Prove Steve Jobs Wrong?